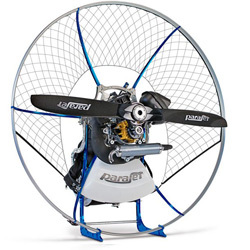 Parajet has been featured on shows like TopGear, the Discovery Channel, and in WIRED magazine. They have created a few ‘world’s first’ products but never lose the brilliantly simple elegance they’re known for. Parajet Paramotors are the best. The design and quality of their products is unrivaled and we’re extremely excited to share them with you. Parajet has been featured on shows like TopGear, the Discovery Channel, and in WIRED magazine. Picture top british engineering pushing the boundaries of design and function and you’ll have Parajet pegged. They have created a few ‘world’s first’ products but never lose the brilliantly simple elegance they’re known for. 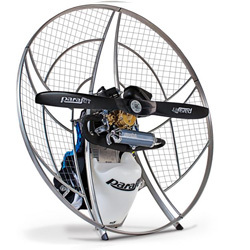 With the three frames and multiple engine combinations Parajet offers, every pilot can find the paramotor for them. Parajet mentions that “trust in the Parajet brand is built through our continuous improvement in performance.” You’ll be won over after one try. They also offer a great warranty and responsive customer service so if you ever do have a question or issue, you’ll find an answer not too far away. We offer Parajet products from our headquarters in London, Ontario or, if preferred, we can get them shipped to you directly from the factory. We strive to get orders to our customers within 5 weeks. We often get them in 2 weeks but it can sometimes take longer for select orders. Uncompromising quality and performance, blended with a simpler design; the Maverick offers even easier access to the incredible sport of paramotoring. If you simply want to fly, get out there and explore the sky – the Maverick was designed with you in mind. Without broad engine or colour choices – just grab your Maverick and take flight. Parajet create products that change the landscape of Paramotoring and the Zenith is no exception, strap yourself in and suddenly it’s clear. 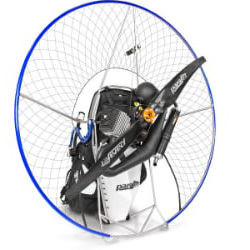 A Paramotor manufactured to give unrivalled precision and consistency in its production, coupled with launch and in-flight geometry so precise, that it feels like an extension of your body.